Mediant 3000 Enterprise session border controller with redundant 252 ESBC sessions supporting SW upgrade up to 1008 redundant SBC sessions including redundant chassis components, 1+1 TP-8410 board, 2 RTM for TP-8410 active board and 2 System Alarm board. 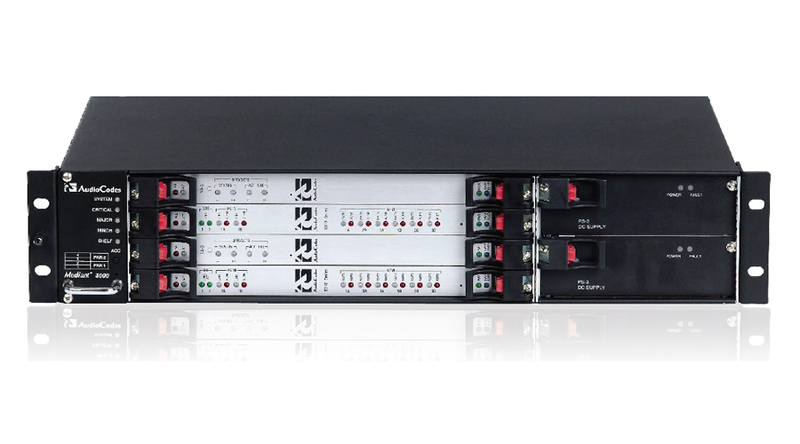 The Mediant 3000 Enterprise Session Border Controller (E-SBC) is a member of AudioCodes' family of Enterprise Session Border Controllers, enabling connectivity and security between Enterprise and Service Providers' VoIP networks. The Mediant 3000 E-SBC provides Perimeter Defense as a way of protecting enterprises from malicious VoIP attacks; mediation for allowing the connection of any PBX and/or IP-PBX to any Service Provider; and Service Assurance for service quality and manageability. Designed for high capacity and high performance, the Mediant 3000 E-SBC is based on AudioCodes' VoIPerfect best-of-breed Media Gateway technology, scaling up to 1000 secured SBC VoIP sessions. The native implementation of SBC functions on the Mediant 3000 VoIP Media gateway platform provides a host of additional capabilities that are not possible with standalone SBC appliances, such as VoIP gateway and PSTN routing functionality. This enables enterprises to utilize the advantages of converged networks and eliminate the need for standalone appliances.